Disc displacement and radiculopathy (or pinched nerve) are common causes of pain for patients in the United States. Frequently occurring in the lower back or “lumbar” region of the spine, this condition occurs when a spinal disc falls out of alignment. Spinal discs are rubbery cushions that sit between two vertebrae connecting them and provide padding and protection from daily wear and tear. The middle of the disc contains the nucleus, which is liquidy or gelatinous. Around the nucleus are ligament layers called the annulus. When a disc becomes displaced, it can make performing daily tasks nearly impossible. Disc displacement and resulting radiculopathy often cause chronic and excruciating back pain that requires treatment from a pain management specialist. Fortunately, the pain caused by disc displacement and radiculopathy can often be abated with proper treatment. As we age, the disc dries out and the nucleus gets smaller and the disc loses height internally. Disc Bulges are another serious disc deplacement ailment. Because the walls of the disc stay the same length, the walls tend to “bulge” when the disc loses height and the vertebrae approach each other. These “disc bulges” are seen on MRI and do not produce pain. When there is a disc bulge, the walls of the disc are normal. If part of the nucleus shoots through the wall of the disc it is called a protrusion or herniation. The nuclear material can cause irritation and inflammation of nerves that are nearby. This nerve irritation causes pain to be produced in the upper limb, torso, or lower limb depending on what nerves are inflamed. When there is a disc protrusion or herniation, the wall of the disc is weakened. The disc abnormalities are readily seen on MRI. Treatment for disc displacement can come in many different forms, depending on the cause and location of the injury. For disc bulge, simple stretchability exercises and physical therapy may provide relief. In more serious cases, modalities such as physical traction, injections, radio-frequency ablation, or a combination of these treatments may be necessary to relieve the pain. When someone has a disc protrusion and nerve irritation, the nerve can be affected and not work as well as normal. This may be shown as weakness or numbness. Generally, steroids by mouth or by injection are used to reduce symptoms if severe. Pain medications, NSAIDs like ibuprofen or naproxen, or other agents can be used for various symptoms. Physical therapy exercises and modalities can be started after the pain has eased. The evaluation of this problem needs to answer questions usually ignored: Why? Why was there a protrusion on one side and not the other? Why was there a protrusion at one level and not another? The answers to these questions are critically important to prevent recurrence and chronic pain. The goal of any pain management treatment should focus on finding the least invasive procedures that will provide relief from the pain you are experiencing and allow you to return to your normal routine. A pain management doctor at Summa Pain Care can help determine the best course of treatment for your condition. 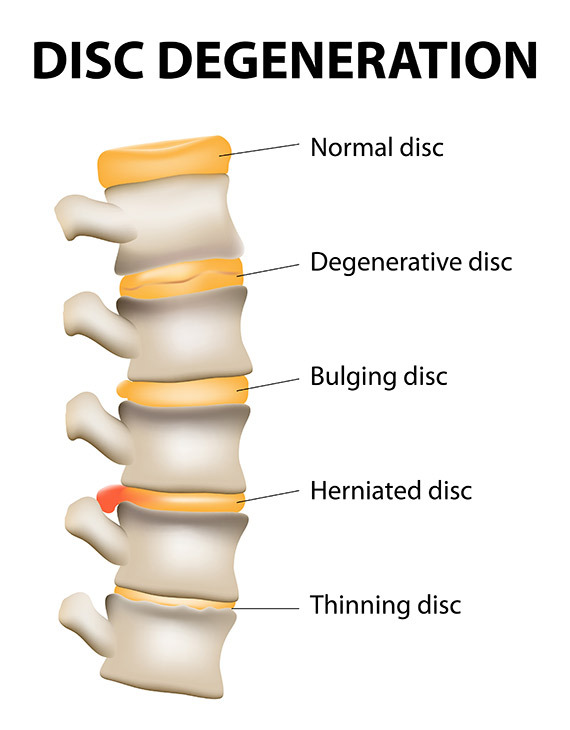 For more information about disc displacement and other painful conditions, or to learn more about the courses of treatment available at Summa Pain Care, call (623)776-8686 today.